Paola Antonelli, Senior Curator for Architecture & Design and Director for Research & Development at the New York Museum of Modern Art, will give the CHI 2013 opening plenary keynote, Monday morning at 9am in the Grand Amphitheater. In the past twenty years, design has branched out in new directions that have galvanized young practitioners, sparked business models, and attracted worldwide public attention. A designer today can choose to focus on interactions, interfaces, the web, visualizations, socially-minded infrastructures and products, immersive spaces, bioengineering, sustainability, video games, critical scenarios, and yes, even products and furniture. In the next twenty-five years, I imagine and hope, designers will be at the nexus of things. Like physics, design will be loosely separated between theoretical and applied. Theoretical designers will be exquisite generalists, while applied designers will continue to make objects, but objects will not always be physical; they will often be shared, not owned; they might be starters that people will finish and customize at home using 3D printers and other on-demand services; they will visualize complex infrastructures and systems to make them manageable by scientists, policymakers, and citizens. Design is not about making things, people and places pretty. It is sometimes ugly, and it encompasses all facets of human activity, from science and education to politics and conflict. For a simple reason: one of design’s most fundamental tasks is to help people deal with change. Designers stand between revolutions and everyday life. They make innovations manageable and approachable, so that they can be embraced and assimilated into life. And they never forget functionality and elegance. 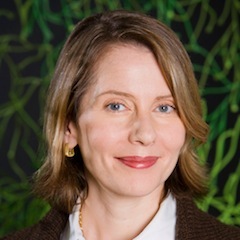 Paola Antonelli joined The Museum of Modern Art in 1994 and is a Senior Curator in the Department of Architecture and Design, as well as MoMA’s Director of Research and Development. She has curated many memorable exhibitions at MoMA, including Workspheres (2001), Humble Masterpieces (2004), SAFE: Design Takes On Risk (2005- 2006), Design and the Elastic Mind (2008), and Talk to Me: Design and the Communication between People and Objects (2011). The recipient of a Master’s degree in Architecture from the Polytechnic of Milan in 1990, Antonelli has curated several architecture and design exhibitions in Italy, France, and Japan. She is a Senior Fellow with the Royal College of Art, London and received an Honorary Doctorate in Design from Kingston University, London. Paola earned the “Design Mind” Smithsonian Institution’s National Design Award in October 2006, and in 2007, she was named one of the 25 most incisive design visionaries by Time magazine. In 2011, she was inducted in the Art Directors Club Hall of Fame. She is currently working on several shows on contemporary design; and on Design Bites, a book about food from allover the world appreciated as examples of outstanding design. 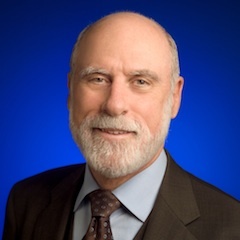 Vint Cerf, Chief Internet Evangelist at Google and ACM President, will give a special CHI 2013 – ACM ECRC 2013 joint keynote, Thursday morning at 9am in the Grand Amphitheater. There have been efforts to achieve dialog with computer-based systems since the origins of computing. From the 1960s, serious efforts have been mounted to engage in natural language dialog. There were false starts with simple dictionary-based efforts. Syntactic/Semantic efforts gave way to statistical methods with some successes. The Bayesian approach appears to be reaching an asymptote so it is likely that attention must refocus on syntactic/semantic approaches. Interestingly, efforts to achieve communication between humans and other species have also demonstrated the value of shared experiences. Holding something in common seems a critical element of establishing communication. One wonders to what extent such efforts might also inform any plan to deal with communication between humans and extra-terrestrials, should any ever show up in our vicinity! Vinton G. Cerf is vice president and chief Internet evangelist for Google. Cerf has held positions at MCI, the Corporation for National Research Initiatives, Stanford University and UCLA. Vint Cerf served as chairman of the board of the Internet Corporation for Assigned Names and Numbers (ICANN) and was founding president of the Internet Society. He was appointed to the US National Science Board in 2013. Widely known as one of the “Fathers of the Internet,” he received the U.S. National Medal of Technology in 1997, the Marconi Fellowship in 1998 and the ACM Alan M. Turing award in 2004. In November 2005, he was awarded the Presidential Medal of Freedom and in April 2008 the Japan Prize. He is a Fellow of the IEEE, ACM, and AAAS, the American Academy of Arts and Sciences, the American Philosophical Society, the Computer History Museum and the National Academy of Engineering. Cerf holds a Bachelor of Science degree in Mathematics from Stanford University and Master of Science and Ph.D. degrees in Computer Science from UCLA and holds 20 honorary degrees from universities around the world. Bruno Latour, Professor at Science Po Paris and director of the Sciences Po Medialab, will give the CHI2013 closing plenary keynote, Thursday afternoon at 4pm in the Grand Amphitheater. The vast amount of data available on singularizing networks (what could be called ‘monads’) raise a new problem for social theorists, statisticians, designers, computer scientists and end users: how to vizualize their various components without resorting to the aggregation in which too many details are necessarily lost. The flood of digital traces and the new ways to handle them show that many of the basic epistemological assumptions about what it is to know something in the social science are actually dependent upon data structures and visualizing tools. This presentation will draw a few possible paths in this new situation and propose a few challenges to the audience. 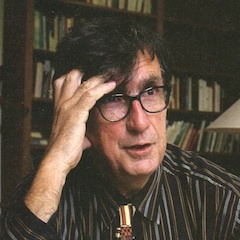 Bruno Latour is professor in Sciences Po Paris where he founded the medialab and developed the mapping of scientific controversies. His work in anthropology of science and social theory, especially the development of Actor Network Theory is especially well adjusted to the harnessing of the power of digital traces now available in vast quantities. He is the 2013 laureate of the Holberg Prize. All references and most articles are available at: www.bruno-latour.fr.